I’d planned my trip to Norway with two main aims: first, to visit the Nobel Peace Center in Oslo, which documents and celebrates the life and work of Nobel peace laureates. My trip to Oslo in 2004 was for what I expect will be a once-in-a-lifetime experience. I went to attend the Nobel peace prize ceremonies for my mentor and all-time heroine, Wangari Maathai, the Kenyan environmentalist and campaigner for democratic space, equitable and sustainable development, and women’s equality. Wangari was the first African woman and first environmentalist to be awarded the Nobel Prize for peace. 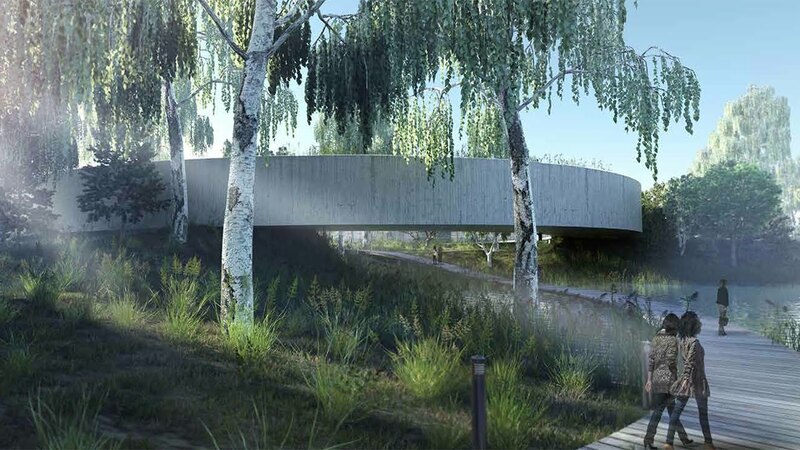 A project to honor her legacy and ensure her pioneering work reaches new generations, the Wangari Maathai House, is being launched in Nairobi. I’ll have a role in making it a reality. My second reason was to be a tourist. 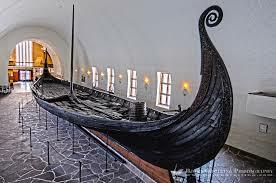 I wanted to visit Oslo’s best-known museums, spanning thousand year-old Viking ships and the expressionist art of Edvard Munch, see the new waterfront opera house where you can walk on the roof, and also experience Norwegian nature like fjords, mountains, and intact glaciers. I arrived near the end of Norway’s summer. It’s a short season of long, warm, sunny days and usually blue skies that helps Norwegians endure the equally long, cold, dark winters. When I was in Oslo in 2004, there wasn’t any snow, but the sun was setting at 3:30 in the afternoon and rising about 9:30 in the morning, making those the shortest days I’d ever experienced. My first night in Oslo in August, I’d gone for a walk to the City Hall where the Nobel peace prize is given to refresh my memory of those events. Along the curved street that leads up to the hall, I spotted a branch of 7-11, the U.S. convenience store. Oh, no, I thought: how ugly, how unhealthy. How could a 7-11 be located here, directly across from the City Hall where I’d attended the elegant Nobel ceremony? It depressed me to see this outpost of fast food culture – one of the worst U.S. exports to the world — here in the heart of Oslo. But then I saw something encouraging and also surprising (I hadn’t yet accessed the Vegan Oslo app). Across the traffic circle, on the same curved street as the 7-11, was a vegetarian restaurant, Fragrance of the Heart. It was open. And it was busy. Wow, I thought, dinner wouldn’t have to be an apple or some dried nuts after all. Fragrance of the Heart became a place I went to eat lunch or dinner, or to have a soy café latte, every day but one that I was in Oslo. The food was hearty, as opposed to gourmet: flavorful and filling “comfort food” like quiches, vegetable pies, wraps, soups, salads, along with quite a few desserts. There were vegan and gluten-free options, and plenty of coffee and several non-dairy milks to drink with it. Fragrance of the Heart used this as a marketing point (it advertised its “coffee club” on signs) and probably an entry point for people who wouldn’t otherwise necessarily go to a vegetarian restaurant. So what did I eat? Lentil soup, spinach soup, a thick gluten-free vegetable pie made from cauliflower and various grains, and green salads with a light dressing that was very good. I always felt full when I left Fragrance of the Heart. Come to think of it, I never ate any of the desserts. What I liked about the restaurant in addition to the food was the atmosphere. It was casual and friendly, and also international. I heard people speaking lots of languages: English and Norwegian (of course), as well as German, Chinese, Japanese, and European languages I didn’t recognize. The workers, all men when I visited, came from across Europe. A few had actually just been in New York, because Fragrance of the Heart is, not entirely unlike 7-11, part of a chain of sorts. The restaurant is one piece of the legacy of Sri Chinmoy, an Indian spiritual teacher. 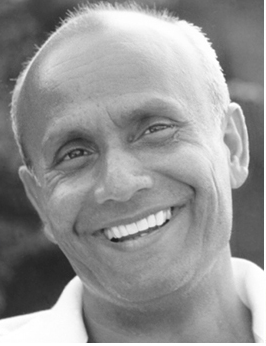 For many years until he died in 2007, Sri Chinmoy was based in Queens, one of the five boroughs of New York City. (I live in another one, Brooklyn.) Some of his disciples run restaurants in cities around the world that are also centers for sharing Sri Chinmoy’s teachings, his meditation instruction, as well as his music (mainly flute) and art. But the “selling” of Sri Chinmoy was soft; you weren’t pushed to consume the philosophy with the food. The prices were fair, too: between $15 and $20 for each of my meals. That seemed about right. Fragrance of the Heart has another branch in Oslo, also centrally located, near the main pedestrian street, Karl Johanns. I stopped by that one, too, to pick up a cookie my last night in Norway.